Actually, it's a serious matter. 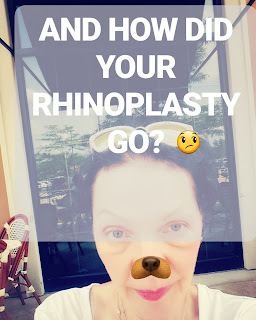 Make sure you have a great surgeon before you embark on a journey for cosmetic surgery...ask questions like... How many of these operations have you done? How long have you been doing this type cosmetic surgery? Where were you trained? Have you done a general surgery residency as well as one in plastic surgery? Show me lots pictures of your work? Don't be afraid to ask serious questions...if they are offended or not forthcoming...find the door and use it! Seriously, too many physicians and oral surgeons don't have the experience and credentials they (you) need to get the best results. A good plastic surgeon will be confident, but very honest. There are no promises of perfection in this line of work. They will discuss the pros and cons...Be wise!